News, articles, issues and topics that concern all of us in business! This blog is for every single one of us who needs to have a quick, accurate, and open room to discuss things that matter to us. 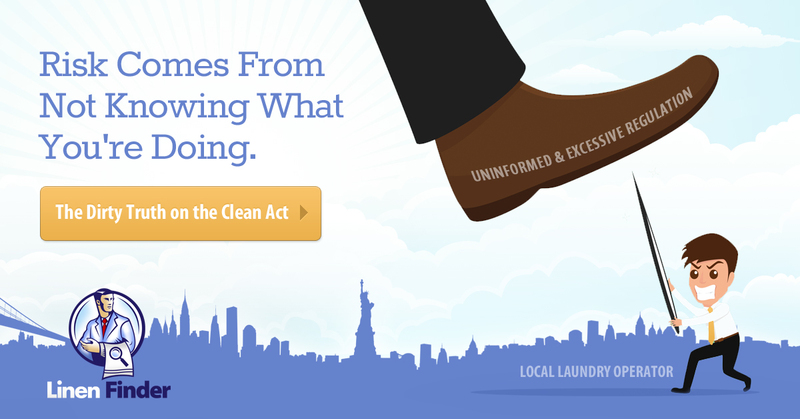 Businesses outside of New York are likely unfamiliar with The CLEAN Act (City Laundry Equity and Accountability), a New York City Council bill that would require industrial laundries which process linens for hospitals, hotels, and restaurants to be licensed and regulated by the city’s Department of Consumer Affairs. The bill is sponsored by New York City Council Member Ritchie Torres, whose experience inside industrial laundries is slightly longer than the reading time of this blog post. In fairness though, his business experience is equally limited – given that he was born in 1988 (yes, this makes him 6 years older than Justin Bieber). While the bill contains some good intentions, it is largely uninformed and would place unnecessary burdens on local businesses. It will ultimately also be subsidized by the tax payers of New York. There are existing national and local regulations for commercial laundries that still carry penalties for violations. There is also scientific based research conducted by independent non-profit organizations which offer various certifications for commercial laundries that are built upon decades of research from 3rd and 4th generation laundry operators and suppliers to the industry. You can learn about these certifications and more regarding laundry compliance at www.laundrycompliance.com. Much of the bill is based on a report titled “Irresponsible Industrial Laundries: A Major Public Health Threat”, a report from NYC Council Member, Ritchie Torres and CLEAN NYC. While there is some factual information provided, it lacks full context and fails to provide the information available to business owners who seek to ensure their linens and uniforms are delivered “Clean”. While the existing industry regulations and non-profit association certifications use science to further awareness and safety, the Council’s report highlights two primary sections; both consist of two former laundry worker’s “claims”. Even if their claims about two laundries are accurate, that’s hardly a sample size indicative of this country’s largest DMA (Designated Market Area). As Mr. Torres progresses in his career, it might be advised to highlight detailed and specific threats instead of ex-employee statements if he is going to publish anything with a title as serious as “Major Public Health Threat”. Something else that also lacks full disclosure and complete context is exactly who these Irresponsible Laundries are. As proposed, the new regulations do not apply to all commercial laundries. Is anyone to actually believe businesses who operate certain on premise laundries (OPLs) work under such different conditions? They have the same types of equipment, identical product types, the same chemical suppliers, equal working conditions and labor requirements. If it looks like a laundry, sounds like a laundry and smells like a laundry; it’s a laundry. The bill touts “creating a level playing field”. I suppose that is true if there are two fields, one for laundries being hurt by the legislation and another for those select few who are mysteriously exempt (more on this to follow). If this bill passes and I’m visiting New York for a Dolphins / Jets game and a drunk NY Jets fan knocks me over, I will certainly ask the ambulance driver if the hospital we’re visiting happens to use an off-premise laundry. Unlike the rest of the city, I will know that for some reason they are held to a higher standard than other certain area hospitals who process laundry in their basement. Now that everyone not previously familiar with the bill has some background info, it’s logical to ask the question: Why? Why Now? Why are a Handful of Laundries Exempt? While Mr. Torres might never have been splashed with laundry waste water, the young councilman can certainly claim that he is fully drenched… in Labor Union Endorsements. Following this commentary are the current endorsements that are currently published on one of his online profiles. Anyone with more than a decade of work experience can see the dirty side of the CLEAN ACT – it’s actually not dirty at all, but rather green. So this is the point where I get to yell out: #MONEYGRAB. But this still doesn’t answer the question about the exemption. Here is an article detailing the then 24 year old Torres’ allegiance to and contributions from the Hotel Trades Council. It is clear that the councilman has created strong ties with his union support and doesn’t mind playing favorites. Regulations are necessary, however they already exist at multiple levels for commercial laundries. There are also outside organizations raising the bar and industry standards based on science from experienced executives who know what they are doing. This bill attacks an industry which operates on thin margins and seeks to further pressure companies with biased, uninformed redundant regulations. While this is currently a New York City issue, if it passes they might as well attach an addendum which states “Coming Soon to a City Near You”. Based on all of the information publicly available it would be disappointing if this turns into more than what it already is… a big waste of time in the big apple. http://www.decidenyc.com/election-candidate/ritchie-torres/ *32BJ SEIU; CSA; UFCW Local 1500; Hotel & Motel Trades Council (HTC); CWA Local 1180; 1199 SEIU; United Federation of Teachers (UFT); District Council 37; Teamsters Joint Council 16; Professional Staff Congress (CUNY employees); Transport Workers Union (TWU) Local 100; Amalgamated Transit Union International (ATU) Local 1181-1061; NYC District Council of Carpenters; United Auto Workers Region 9A (UAW); NYC Central Labor Council; Uniformed Sanitationmen’s Association Local 831; Steamfitters Local 638; Operator Engineers Local 94; International Union of Painters & Allied Trades District Council 9 (IUPAT DC9 Painters); Doctor’s Council/SEIU; District Council 37 Local 420; Working Families Party (WFP); Progressive Caucus Alliance; Citizens Action New York; Community Voices Heard; Make the Road NY; NY Communities for Change; VOCAL-NY; New York Communities for Change; NYers for Clean, Livable, & Safe Streets (NYCLASS); Stonewall Democrats; 504 Democratic Club; Metallic Lathers & Reinforcing Iron Workers Local 46. How do you Respond to Negative Feedback about your Business Online? An irate customer just slams you with a horrific review online on your business’s social media page. Everyone saw it, your other followers, your customers, even your friends and family. Now what? 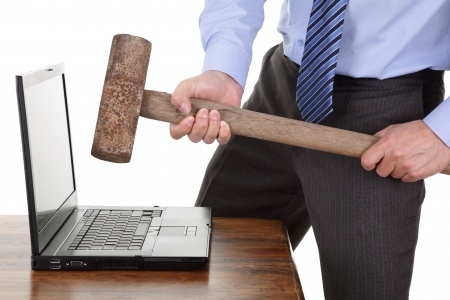 How can you protect your business from negative online feedback? Do you delete the offending online review and pretend it never happened? This is one of the worst courses of action you could take. Any successful business knows there will always be a time, no matter how great the customer service is, or attentive the staff treats the customer, someone at some point will be dissatisfied. Maybe they did have a negative experience, or perhaps they didn’t get the service they were expecting. Either way responses must be handled in the up-most professional manner. By deleting an online review you’re basically telling the unsatisfied customer, “We don’t care that you had a bad experience, get over it”. It also sends a negative message to your other social media online followers that if they have a problem, your business will not take responsibility. Who wants to do business with a company who doesn’t care about their customers? It’s just not good business. Do you respond to the negative online review in the same manner as the customer? The answer is No. If the customer left a bad online review and your response is just as rude and negative as theirs was you’re promoting your company in a negative light. One bad online response can send your company spiraling downwards to the point of no return. Even after something has been deleted online you can usually find it again, and if you can’t, you cannot remove it from your customers memory. “The internet is not written in pencil, it’s written in ink” – The Social Network – 2010. So as a business owner, how do I respond to the bad online review? The best way to handle a negative online review is to respond in a positive light. Respond to the online review quickly, offer an apology for the negative experience and request the customer call and speak to management to remedy the situation. Responses should not be emotionally written. This can lead to a mis-understanding with the offended customer and create even further online negativity for your business. Once you get in contact with the patron ask them what they would like in order to make up for the bad experience with the company. Most of the time, after you have come up with an agreeable solution, you can request the customer update their online review. Even if they don’t, putting your best foot forward and showing the public that your company is trust worthy and works hard to keep their customers happy will not only keep you in business, but will open the doors to receiving brand new customers. 1. Increased Productivity – New innovations allowing for increased automation will become available in 2015 with new and improved flatwork ironing machines and automated washrooms. The new machinery will allow your company to cut costs and increase employee output per hour. 2. Health Care Sales Growth – As the baby boomer generation continues to age so will the need for healthcare services to take care of them. The demand for healthcare linen services will continue to rise, so 2015 is a great time to decide how your company will handle this industry growth. 3. Automating Sales– Many businesses are already taking advantage of this helpful technology, but if yours isn’t you should seriously consider implementing it in 2015. Automating sales allows your company to watch the effectiveness of your sales representatives and ensure they are closing as many accounts as possible. 4. 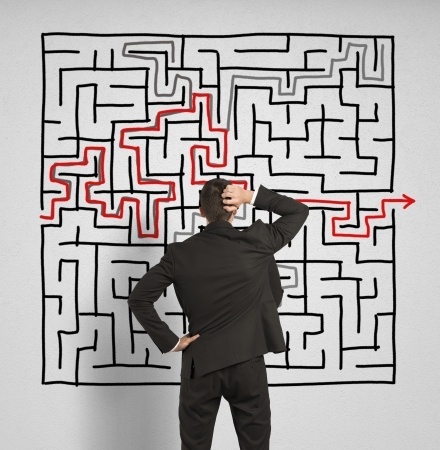 GPS Based Route Automation – Who wouldn’t want to cut their delivery times and gas bills? GPS based route automation is becoming a staple technology for most laundry service companies. It accurately tracks your shipments and ensures your delivering to your customers in the fastest and most efficient way possible. 5. A Development in Nano-Fabrics – The final trend to look for in 2015 and beyond is already being tested in many R&D departments around the world. Imagine linens that automatically dispel odors, stains, and other contaminants; or even chemical dyes in linens that destroy viruses and bacteria. These technological breakthroughs may not happen in 2015 but they will eventually happen, and when they do you should be ready for them. 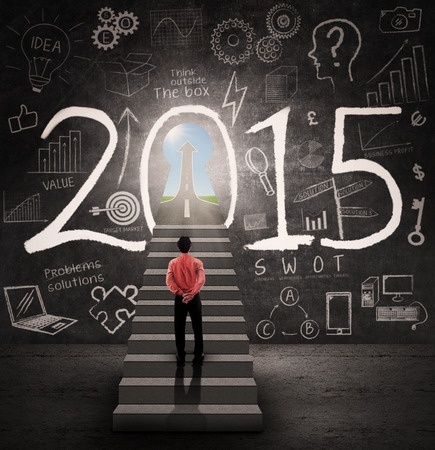 In an already fast paced industry, 2015 will be a year of new developments and innovation. Just doing what you have always done for the last 100 years will not work anymore, be prepared for change and embrace it to make 2015 a year of growth and success. A great way to boost your sales and keep up with competitors is by partnering with Linen Service to increase your leads and close more accounts. Find out more by viewing our FAQ’s or call 888-770-2489 to speak to a lead gen professional. 1. Low Cost Labor Dependence – The profit margins in the linen service industry are small, and not getting any wider. As a result companies must keep labor costs low, which is becoming increasingly difficult as employees attempt to unionize, new immigration bills fine companies that employ undocumented workers (which account for a numerous portion of workers), and there is continuing pressure to pay workers in line with other industries. 2. EPA Scrutiny – Industrial launderers are responsible for handling and disposing of many dangerous toxins and unsanitary materials, so as you can imagine the EPA is constantly monitoring them. This creates a stressful situation, as managers have to stick to the highest standards possible set by the EPA while keeping costs low. Costs associated with updating procedures to be compliant can easily stack up. 3. High Competition – By owning your own laundry service facility you enter into a world of intense competition on three fronts. You face competition from other laundry service companies, from the disposables industry and from on premises laundries. 4. Increase in Energy Costs – In this industry there are a few things that you must have in order to function properly such as trucks, dryers, and washing machines to name a few. The issue with all of these things is that they require electricity or gas and lots of it. So, if gas or electricity prices increase then so do your overall expenses, further squeezing your bottom line. All of these negatives may make it seem like the laundry service industry is not great to get into, but if you are willing to put in the hard work then it can be very rewarding and profitable. It is not for someone who wants to be able to sit back and let the business run itself, you have to roll up your sleeves and get dirty, especially in the first few years. In the end however, as long as you prepare for and navigate around the risks you can be very successful in this industry. The textile industry has experienced a long history of shading irregularities. For a long time these issues were mostly evident on colored and patterned textiles. Recently however, a problem has developed for linen companies with the largest consumed color – White. Dying textiles is not complicated, but consistency is. So I thought we’d bring on a supplier whose motif is “The Leading Supplier of Consistent Quality Textiles” for a Q and A session on the topic 50 Shades of White (there are actually more than that, but doesn’t have the same ring to it). Samantha “Sam” Hickernell is the VP of Sales and Marketing for BLC Textiles. She has spent her entire career in the industry and has worked with hundreds of customers on textile related solutions. Sam, thanks for taking the time to join us to discuss the white shading issues in the marketplace today. Having been to manufacturing facilities around the world, can you speak generally about the color white and how it’s produced? Sure and it’s great that you referred to White as a color as it is no different than other colors as far as dyeing and finishing goes. The color White is dyed as natural polyester and has a yellow/brown natural color. Therefore it needs to be dyed similar to other colors. In order to get the deepest, most consistent acceptance of the dye you need the right yarns. Most importantly, you need to be able to create an environment where the product is exposed to high heat, consistent pressure, and the correct amount of time in the dyeing process. Generally this would be higher than any heat or pressure the product may be exposed to at a laundry facility. These factors are key components to dyeing the color white. That was a perfect overview. When meeting with laundries who service all industries across the country, what do you think are the primary factors causing the shading problems seen at most plants? As stated above, white is a color and because we impart dye into the product to create the color we can also remove dye over time through regular use. Repeated exposure to chemicals in the wash process, chemicals at the end users facilities and high heat in the dryers and ironers will over time degrade the appearance of white. Additionally, there will be differences in color however slight, between new and say a napkin produced 100 times. One of the key issues operators face is polyester bodies exists long after the color begins to leave the product. Many times shading can be a result of product hanging around too long. As our Laundrypro likes to point out “polyester doesn’t tell you it’s time to throw it out like cotton did”. A good program of culling out product that has lived its usable life and inputting new product regularly will help minimize color shading. You mentioned chemical abuse as a factor, can you speak specifically about how and why this happens. Also, are there any chemical companies that you think stand out and really work to minimize their products’ effects on a rental company’s goods? I don’t want to give the impression that the chemical companies are abusing products however the regular exposure to chemicals does play a role in the life of the product. We are not operators and don’t have the laundry “chops” if you will to endorse or recommend a particular chemical company. I have found a great representative of any company can be a terrific partner in the success of a rental operation. A true partner can easily collaborate with the manufacturers and work within guidelines to make certain the expectations can be met and even exceeded for their respective customer. We have worked with all of the major players in the chemical industry that serve our customers. I have found all of them to be professional, interested and ultimately have the same goal as the operator and us, that is consistent quality through the plant for the life of the product. I understand not wanting to “recommend” any particular company [well, sort of]. Perhaps some chemical suppliers will decide to provide their own insights as the issue gets discussed. What are some tips or questions you’d recommend companies ask their textile distributors to help them eliminate this problem? The Operator should definitely try to understand how products are made and what the suppliers Quality Control processes are. In addition, if there were to be a problem what is their method for solution of problems. A qualified supplier will have the answers to these questions readily available and be willing to share why they feel their products meet the specific needs of the rental company. Additionally, wherever feasible a visit to the factory to see the process can be extremely valuable. In implementing a new program it probably wouldn’t hurt to get the chemical manufacturers and the napery manufacturers together so they have a familiarity with one another and at the very least get wash and care recommendations. Remember, we cannot eliminate color loss, the trick is to minimize it, and put it off as long as possible to get the maximum life out of the products that you are buying. When we can collaborate with an operator and a chemical company to reduce fading and shading and take the product out further into its life; in terms of turns, we have done our job. Lastly, operators should purchase consistently in the table linen category. When operators start buying from multiple suppliers it greatly impacts their shading opportunity in their plant. Consistent purchasing helps with consistent quality. What does your company do to make sure that the same white products ordered in January are the same shade as the product ordered 6 months earlier? Our Quality Control is very detailed and starts with the yarn. We have chosen to produce “Q” out of all Murata Jet Spun Yarns. We feel that having the same type of yarns in both directions is a huge asset in reducing fading and shading. Color is the human perception of reflected light. When you have two yarns you will in fact have two perceptions of light. There really is no way around that. In time, as the product is used, this reflection of light can become dramatically different and cause whites to take on an beige or gray appearance in some products. Our product is dyed and treated to get the maximum penetration of both dyes and soil releases under the careful auspices of our Chemist in Cambodia at our factory. He developed our proprietary time temperature model to insure perfection every time. Our lab at the factory can and does analyze a percentage of the product under a variety of light sources for comparison and standard control. As the product goes through the plant it is checked in every part of cut/sew. In that process, every employee is an enabled Quality control inspector and has full authority to reject anything that does not meet our standard. We are unique in the sense that we do not use automatic sewing and every piece of every product is hand inspected before it leaves the factory. Lastly, once the product arrives in the US there are random wash tests done to insure consistency of all facets of the product to include dyeing. Our belief is the process is the difference and we live and breathe by that motto. You’ve offered up some great insight on the topic. We really appreciate it! If any of our customers are experiencing issues on the textiles they are purchasing and wanted to get some BLC samples, what is the best way to get in touch with your team to learn more? They can contact their local representative at 844.500.7900, or feel free to contact me [email protected] or Ben Pincus [email protected] for more information, product samples or a personal visit for further review. We look forward to serving the industry – thank you for this opportunity. Jeff – Thanks Sam. We’ll look forward to seeing you and your team at CSC & the Clean Show. 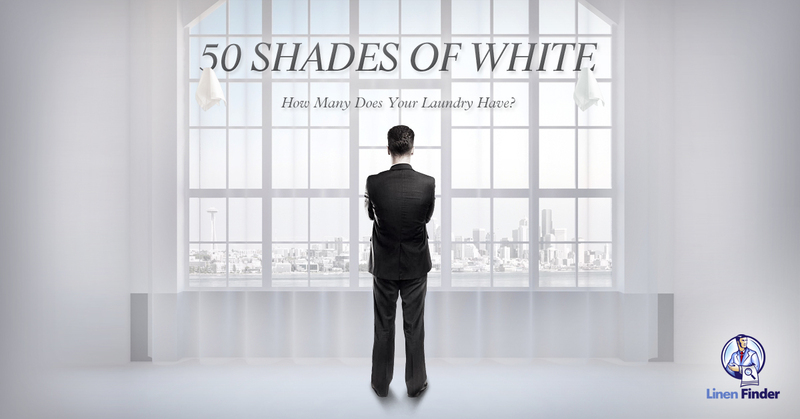 Of course the new Universal Pictures movie “50 Shades of Grey” arrives in theaters next month. I hadn’t planned to see it but after my wife played this song for me – I’m in.